Primitive technology is a genre of utube videos that demonstrate how to build things without any influence from the modern world. 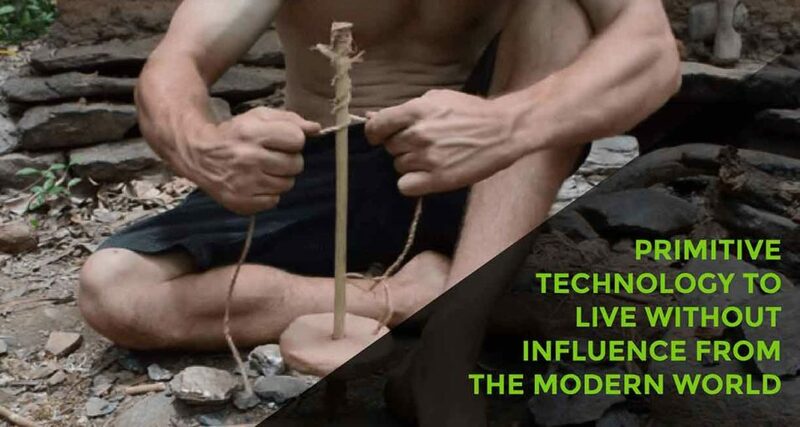 Primitive technology is more than just survival skills. It’s also different from the “prepper” movement, which focuses on having the skills and resources in anticipation of the breakdown of society. Primitive technology is like hitting the reset button and seeing how advanced you could become if left to fend for yourself. The technologies proposed is very interesting and I am evaluating to learn some of them. It gives me a sense of safety. Maybe, if our society crash down, we can do a lot of stuff, with primitive technology. Again, maybe. The most known YouTuber on the topic is John Plant, from Queensland, Australia, a real superstar of the primitive technology world. “By limiting the resources to only what is available in the wild, you become more inventive,” Mr. Plant’s declared at BBC News. This sound very familiar to us in the Permaculture movement, it’s very close to the third Permaculture ethic, with Primitive technology you can build almost everything. What impressed me is this underground Villa House with a Great Underground Swimming Pool. Maybe we can build a Walipini with this methodology! Enjoy the article and be sure to share it to inspire your friends and family.